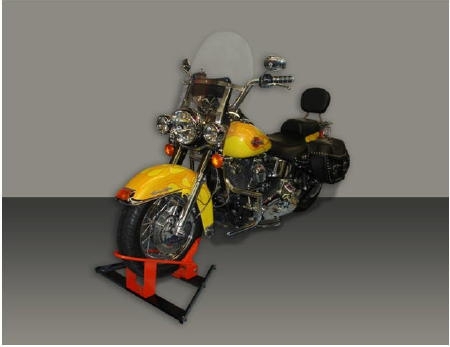 Better than any kickstand for your pride and joy in storage! The BK-100 is easy to use secure peace of mind for transporting and/or storage of your motorcycle. Use the optional BK-102 in your garage, on your patio and/or where ever a flat surface is that you choose to show off your bike.